Opportunity knocks to steal this custom built all brick home at a great price! Situated on almost 1/2 acre golf frontage lot overlooking the 3rd hole of the pristine Debary Golf and Country club. 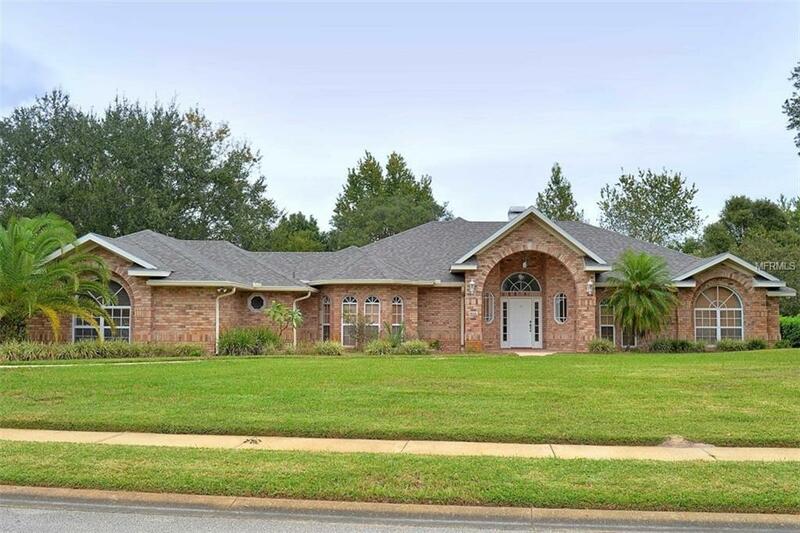 This spacious home features 4 bedrooms and 3 full baths with 2750 square feet of living space. The gourmet chef will enjoy the island kitchen with plenty of cabinets, snack bar, large dinette area and walk-in pantry. The large dining room is perfect for entertaining your family and friends. Besides the formal living room you can enjoy the spacious family room with cozy fireplace while overlooking the screened in porch with cedar ceiling and watch the activity on the golf course. The luxurious master suite features a jacuzzi tub, separate shower and double vanity and dont miss the enormous walk-in closet. Lots of tile, laminated flooring, trey ceilings and custom wooden blinds throughout plus a 3 car garage. Conveniently located to I-4, shopping, schools, restaurants and the Sunrail commuter rail, 30 minutes to downtown Orlando or the East coast beaches and 15 minutes to the Lake Mary/Heathrow corporate center. Debary Golf & Country Club has memberships available for golf, tennis, fitness center and restaurant. This home was the enjoyment of a colorful interior decorator, you might want to bring your paintbrush and some TLC would be helpful. This is a great value with great potential!